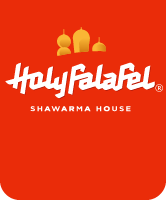 Holy Falafel – Fast Casual Middle Eastern – 2016 Q1 YOY Revenues Up 17% | Holy Falafel & Shawarma House Restaurants Ltd.
February 9th, 2016, – Holy Falafel & Shawarma House, Middle Eastern Fast-Casual Grill, Vancouver, BC, Canada, are pleased to report Q1 Quarterly Revenue comparative Growth of 17% YOY for 2016. CEO Greg Ewasiuk attributes this terrific consecutive YOY quarterly increase to the fact that Holy Falafel has been able to continue to consistently execute well on our quality and service standards with our professional operations, carefully trained staff and mgmt to ensure every customer has a great experience in our restaurants every time they visit. 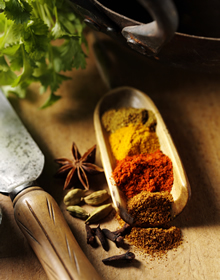 It also doesn’t hurt that Holy Falafel is serving fresh high quality very flavourful healthy exotic real-food, fast, that contains no preservatives, nor added chemicals. Our customers, especially Millennials, are catching on fast to this fact, and they love our unique new food, caring knowledgeable service, and modern clean restaurants. It’s no secret that most QSR operators are all experiencing ongoing quarterly sales drops for the last couple years, that are continuing to decline steadily. They’ve lost touch and just don’t get it. We do. We are continuing to innovate and lead in our space, while taking their marketshare, and plan to keep doing so. We’ve gone way back to the past… To bring you the future of fast-food. Real Food. Real Service. Real Flavour. Fast. Holy Falafel.